In less than two weeks, the journey begins, but in many ways it started long before that. I visited, enrolled, tested the travel plan, and was fitted for my jacket. A million steps to take the first one. I am invigorated by the promise and yet somewhat timid to open the door. 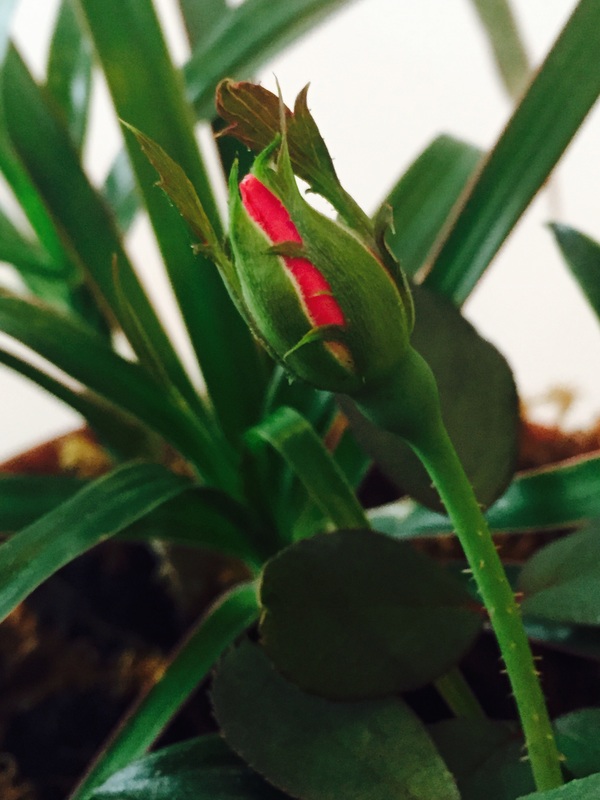 It’s a bud within the rosebush.